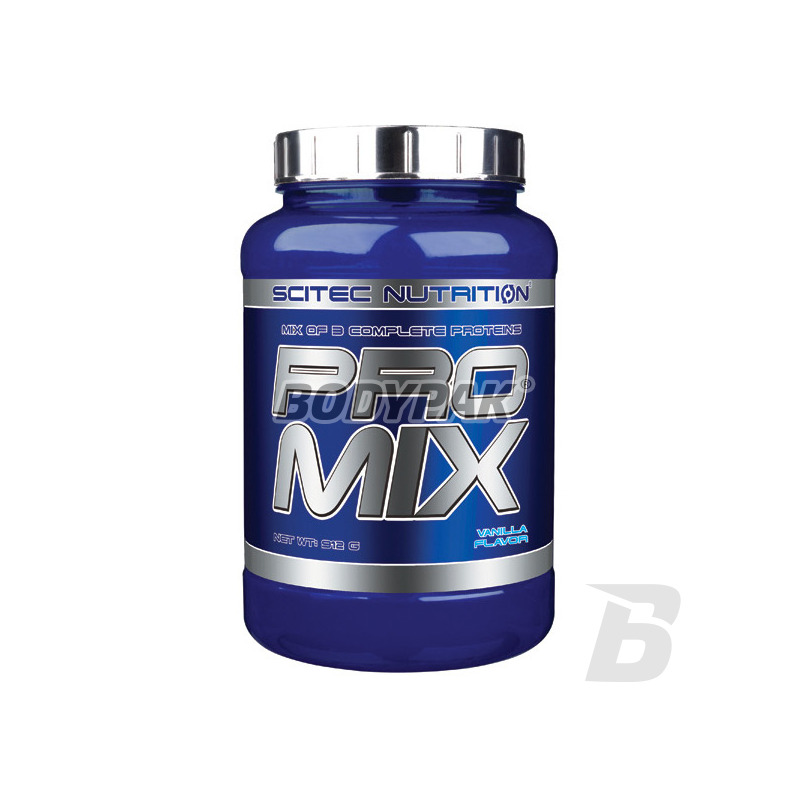 High quality blend of three sources of protein: whey protein concentrate, casein and soy protein isolate. Universal source of protein - check both during the day and at bedtime! 79 loyalty points Your cart will total 79 points that can be converted into a voucher of 3,16 PLN. Scitec Nutrition Pro Mix is a mixture of three sources of protein: whey protein concentrate, casein and soy protein isolate. Each of these sources has a different rate of digestion and absorption, and different amino acid profile. Thanks to their combination creates a balanced product ideally suited for use at any time. 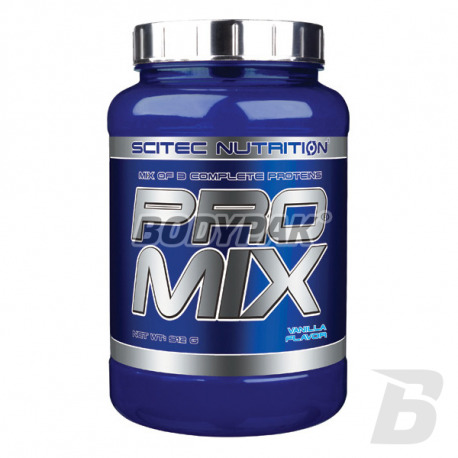 Scitec Pro Mix can be used both in the process of building muscle mass and reduce body fat while. Ingredients: Soy protein isolate, whey protein concentrate (made from milk, emulsifier: soy lecithin ), dextrose, vanilla, calcium casein (made from milk) Taurine, thickener (xanthan gum), sweeteners (Acesulfame K, sarralose), maltodextrin. Excellent soy protein isolate! It is a high-protein nutrient which is a valuable source of full-value protein from low-fat, carbohydrates and cholesterol. Excellent vegetable protein helps maintain and properly develop muscle mass. Special price! Professional mix of 3 protein sources, so that you ensure your body an excellent building material and you will enable rapid growth of muscle mass! The original taste and good solubility! Extremely versatile high-protein supplement, which are composed of both factions quickly absorbable and absorbable long the highest quality. Once upon a time it was not on our market nutrients, the anabolic potential is so huge! To 10 of protein forms! The hydrolysed whey proteins are highly specific type of whey, which has been digested in production.